In January I refreshed my studio by decluttering and repainting the walls. The walls are decorated with nicely framed Andrew Wyeth prints and other artists work but one wall, directly in front of my workspace was bare. I needed a place to hang studies for projects I'm working on, sketches, or a place to hang paintings to dry. 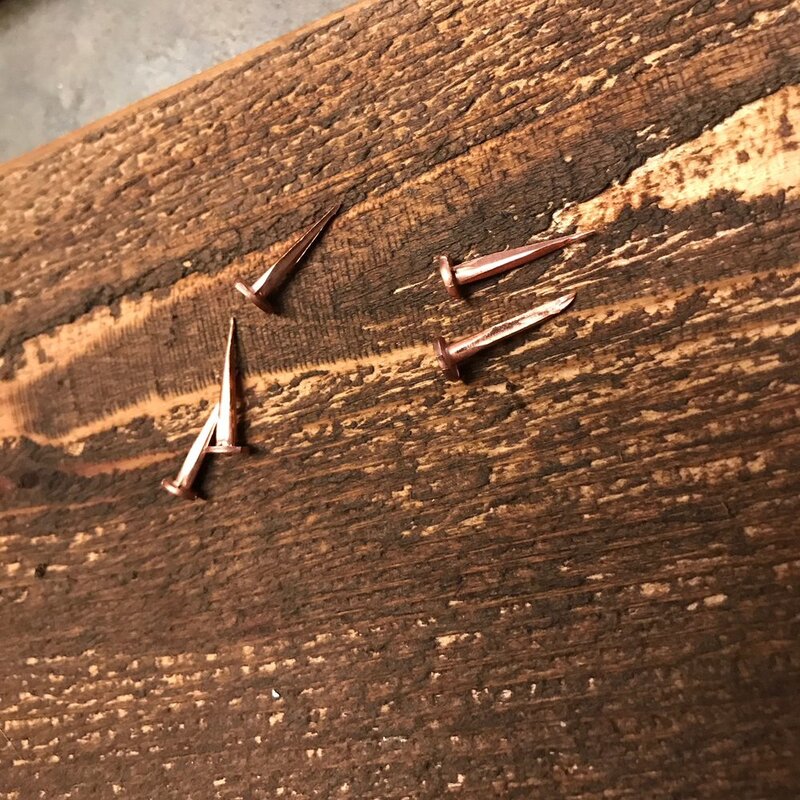 I didn't want to put up something huge and hideous on the freshly painted walls and certainly didn't want to put too many nails in the drywall. Taping them up never turns out well. 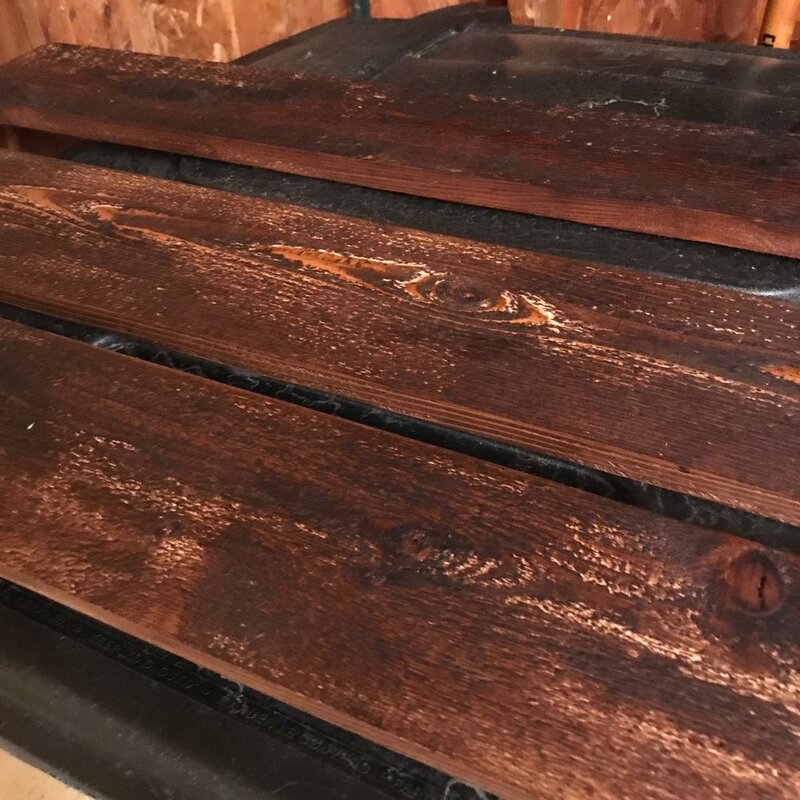 I reached out to a carpenter friend and he dropped off some scraps of pine and cedar planks that had a nice rough surface like barn wood. I ran to Lowes and picked up some brass cut nails, stain and picture hangers. Total cost of this project was about $15 and maybe an hour total of my time. The wood was cut at 33 inches lengths to nicely fill the width of the wall and I left the rough edges to have a little more rustic look. 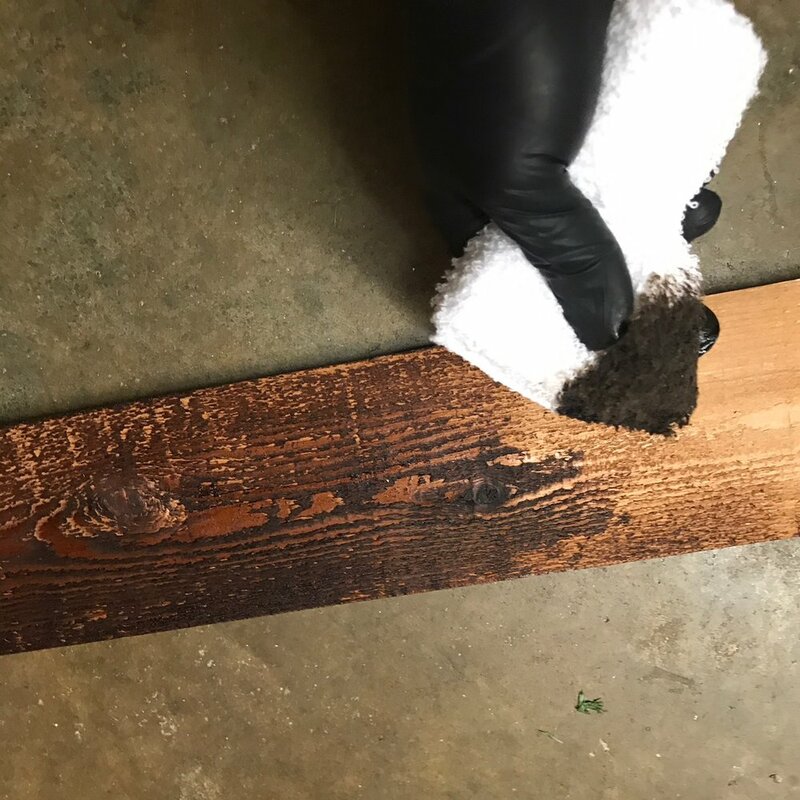 I stained the wood with one coat of mission oak using a stain sponge and let it sit for about 36 hours to dry. I evenly spaced five brass cut nails on each board. They have a nice uneven look to them and a big enough head to hang things on without fear of the binder clips sliding off. With two picture hangers on the back of each board, I hung them on the studio wall with enough space vertically to accommodate larger paper. You can see from the pictures it is sturdy enough to hang sketchbooks if I want.